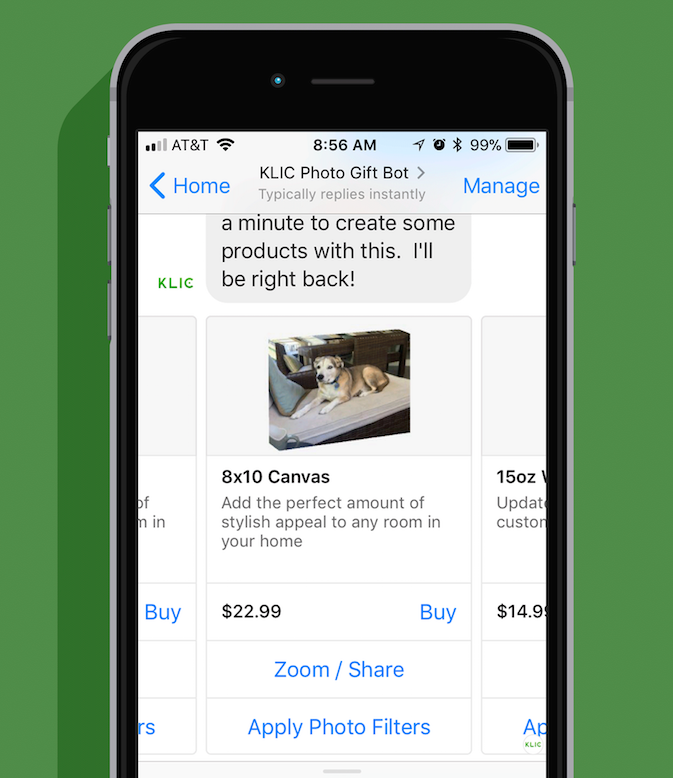 I have created a bot for our company that allows a Facebook Messenger user to upload a photo they like and get dynamic previews of gift products they can purchase. Rather than showing all products that are available, the bot uses heuristic rules that select the best products based on the photo itself. These include thing like orientation, resolution, and content. This simplifies the selection and purchase process. Using our bot is easy. Send a photo and we will walk you through it. You can start over at anytime using the menu at the bottom. Did you know that we build complete photo solutions for lots of companies? We can help your business too! PreviousPrevious post: Doom for tvOS Running!